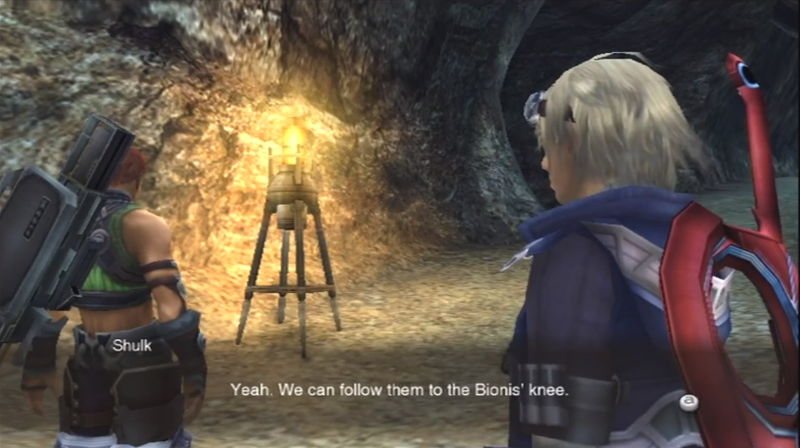 Shulk and Reyn leave Colony 9 together in search of another Homs colony in the eleventh chapter of my Xenoblade novelisation. Dickson had seen a line of bright blue light coming from the area and decided to investigate. It had led him to the icy Harict Chapel, and the tragedy contained therein. “No!” His gaze followed the path before him, which sloped upwards before levelling out and continuing where he could not see. Dickson walked through the freezing, hard grey corridor of the chapel, staring at the research party littering its floor. There were six in all, laying unnaturally still. Dickson knelt beside one of them, placing a hand in front of the man’s face, feeling for hot breath on his fingers. A chill ran through Dickson; he raised his head, looked sharply to his left. “Huh?” He raised himself and slowly made his way towards the end of the corridor. He found himself in a circular room with a raised pedestal in its centre; hovering above the pedestal, a black ring around its hilt and coated in an aura of a blue-purple hue, was the Monado. 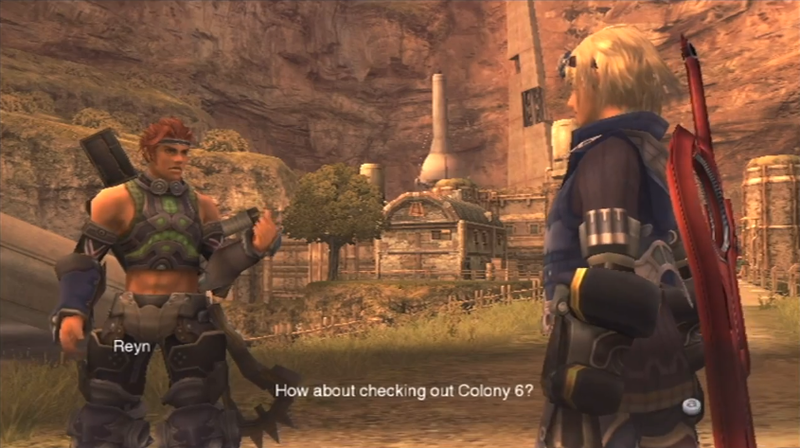 “How about checking out Colony 6?” Reyn suggested. 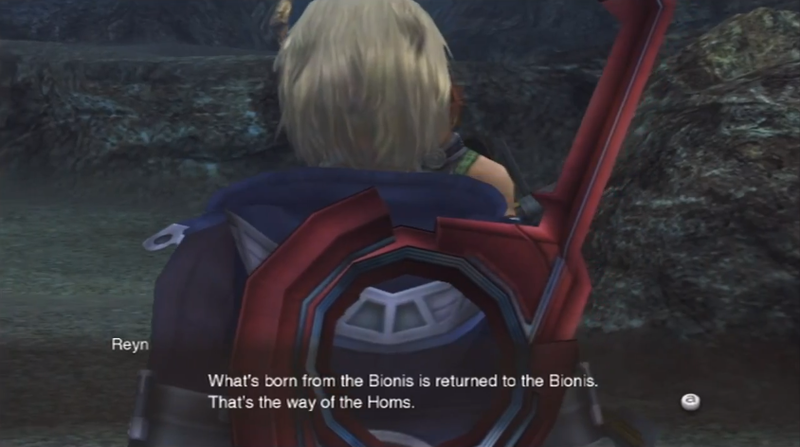 “Colony 6… The only other Homs colony left,” said Shulk bitterly. He felt a surge of anger towards the Mechon; something he had grown accustomed to in the past few weeks. 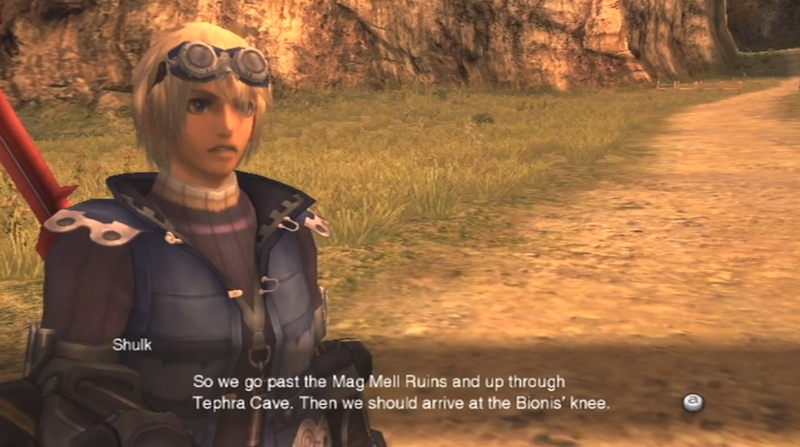 “Sounds like a plan!” Shulk turned, eager to resume their journey. “Let’s head to Colony 6!” The boys ascended Tephra Hill to get into the cave, following the road as it took them south. It doubled back on itself, so they were walking towards the north when they truly exited colony grounds. They stayed quiet as they walked through the dark stone corridor. 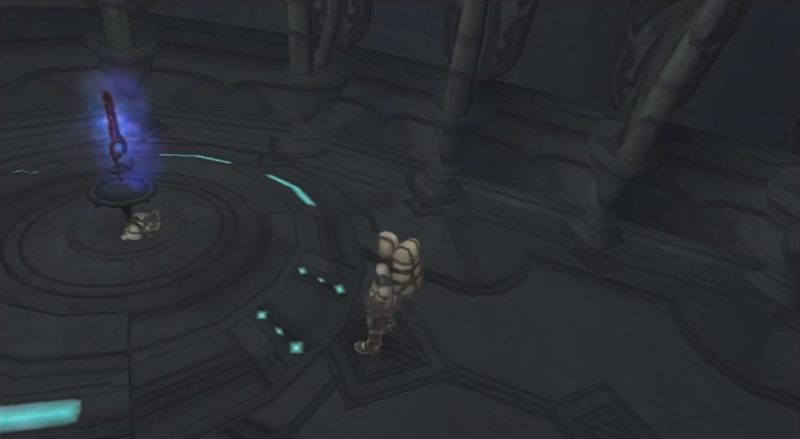 Shulk glanced around as they climbed the stairs leading to the Mag Mell Ruins. 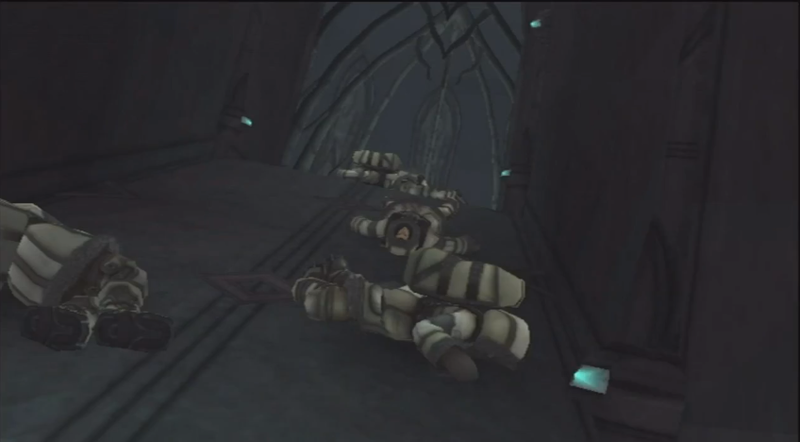 He nodded to the soldiers stationed in the ruins as he and Reyn continued on their way. “Yeah,” said Shulk firmly, “let’s go.” The boys strolled through the door and then down a short corridor. Directly ahead of them, metal walls turned to stone, and a soldier waved at them as they passed through. “Are you boys headed through to Colony 6?” The soldier asked. 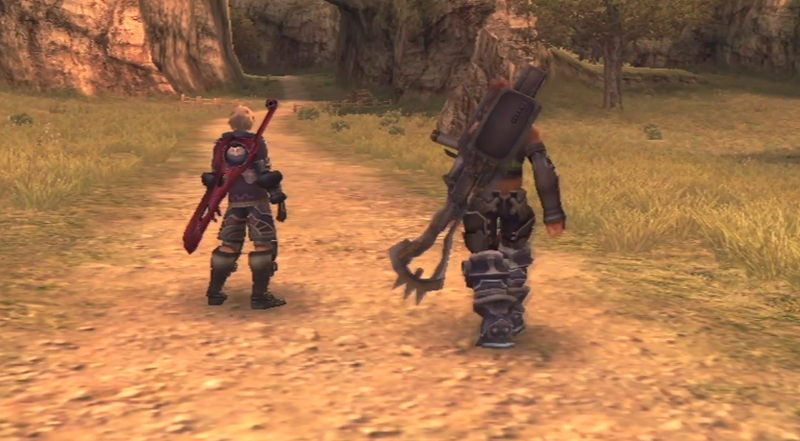 “We will.” Shulk walked with Reyn beyond the metal portion of the cave. They paused next to a crystal-shaped object sitting in a four-legged stand, glowing a bright yellow. “An ether lamp,” Shulk observed. “Don’t traders use these things as guideposts?” Reyn asked. Reyn nodded. “C’mon, let’s keep going. We’ve got a while to go yet.” He and Shulk turned right, heading down a stone corridor the curved slightly before opening up into a huge cavern. The path twisted down and around the edges of the cavern, leading down to the ground where vangs and krabbles could be seen milling around the spring at the centre. Shulk watched the vangs as they flitted around the water, batting their leathery wings. “So… Are we going to kill some of these vangs, then?” he asked, smirking. Reyn stopped what he was doing and sighed. 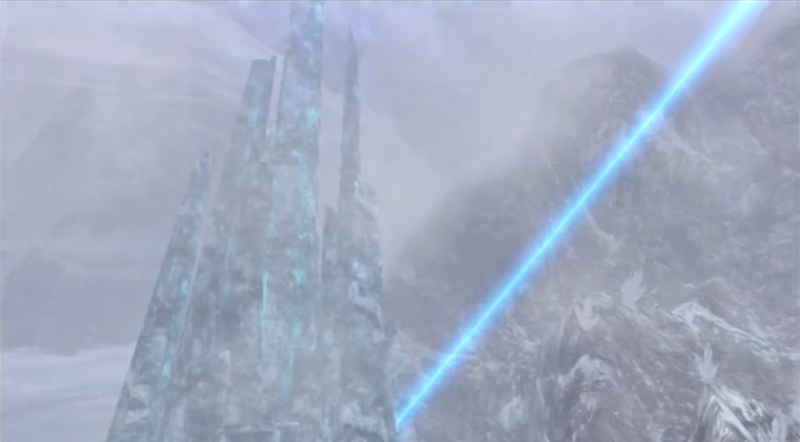 “You’re right.” Relieved, Shulk followed Reyn around the spring and into another stone corridor, which twisted around on itself, sloping slightly upwards. The boys slowed when they entered another cavern; lying next to a pillar of stone, lifeless, were three men, clad in armour. “What the…?” Shulk took in the scene before him. 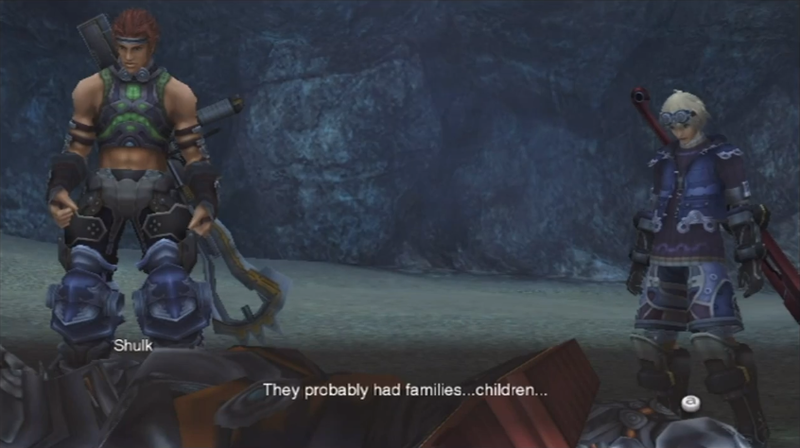 “They probably had families…” muttered Shulk, “children…” Fiora’s scream ripped through his mind, and he gritted his teeth. Shulk glanced around; there was a pool of ether a few metres away. 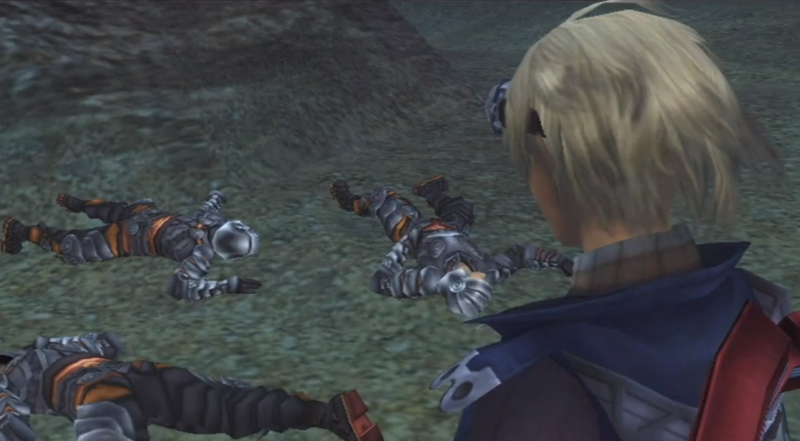 Together, he and Reyn dragged the bodies into it so they might become one with the Bionis. 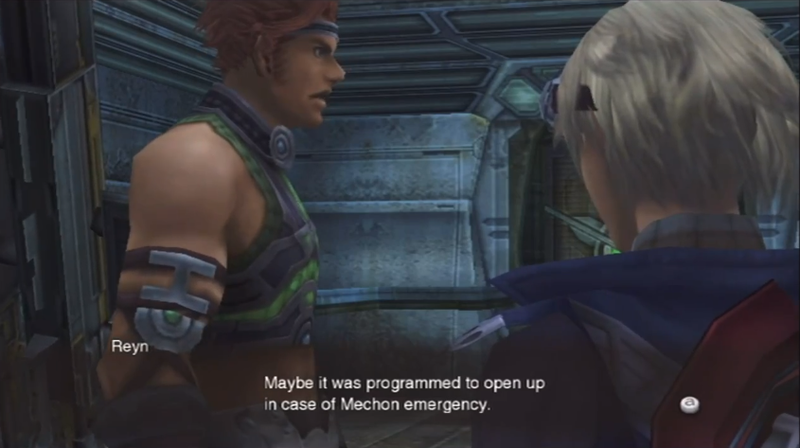 Reyn half-heartedly suggested they take their weapons for their own safety, but a single glare from Shulk put a plug in that idea. 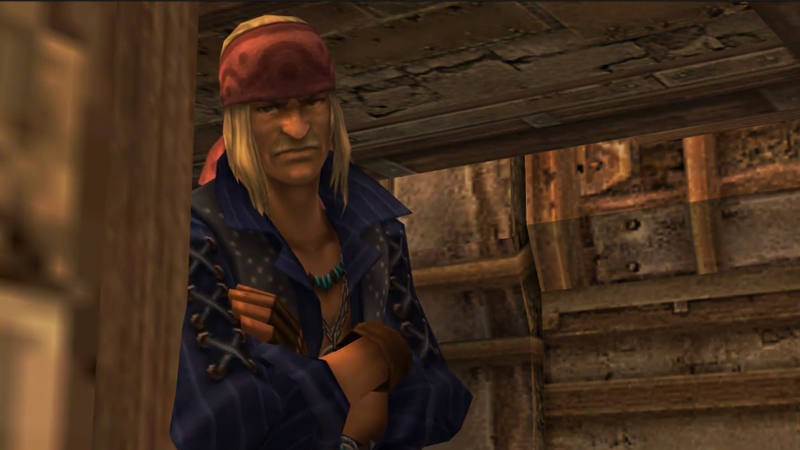 Shulk stared into the camp fire he and Reyn had constructed, and lost himself in his thoughts. Previous PostXenoblade Novelisation: The CallNext PostXenoblade Novelisation: Do You Wish to Change It?